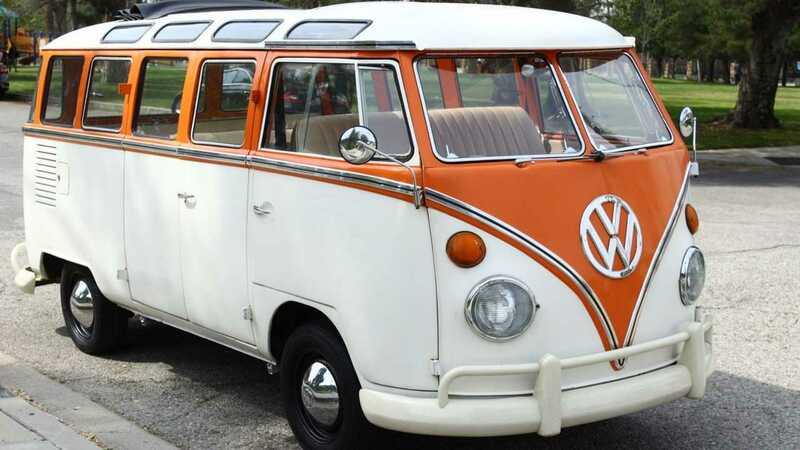 This creamsicle colored orange on white 1965 Volkswagen Bus/Vanagon is the extremely desirable 23-window variant and is guaranteed to turn heads of any VW enthusiast. 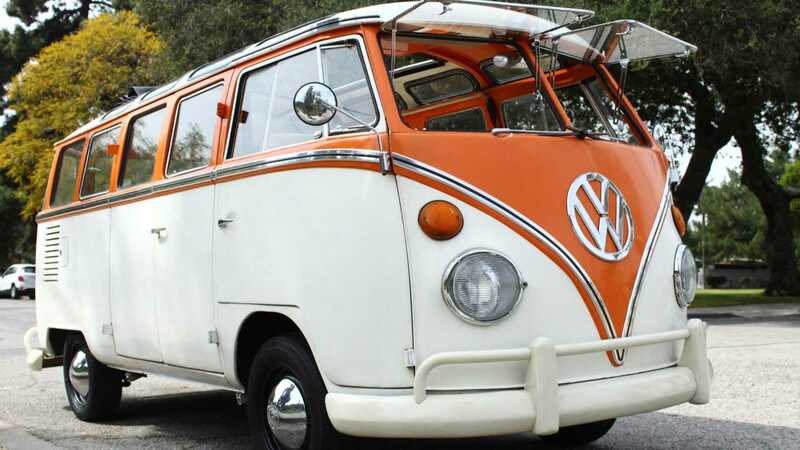 The first generation of the Volkswagen Bus/Vanagon arrived in the United States in 1950 and was sold here until 1967. During its almost two-decade sales run in the U.S., the VW Type 1 (T1) was sold as a four and five-door panel van, four and five-door microbus, a two-door regular cab pickup, and a three-door crew cab pickup truck. 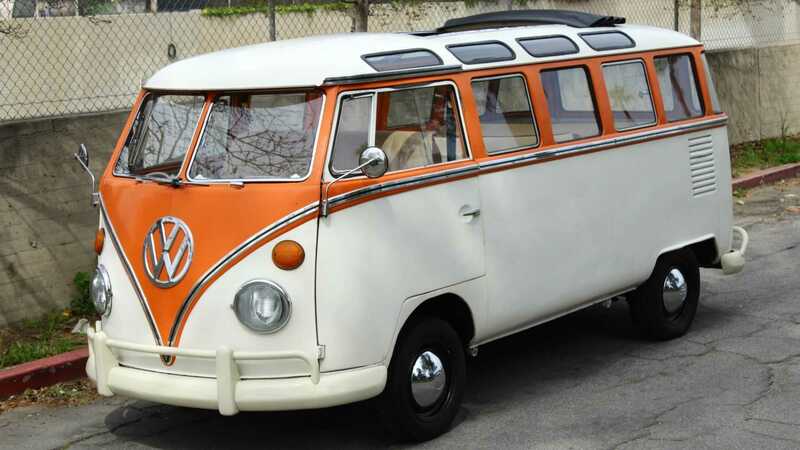 The U.S. bound T1s were either manufactured in Hanover or Wolfsburg, Germany and were powered by air-cooled flat-four-cylinder boxer engines with displacements ranging from 1.1 to 1.5-liters. 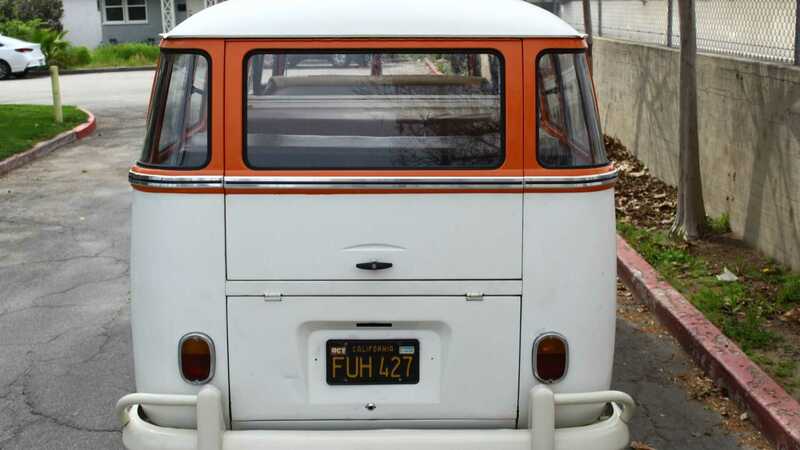 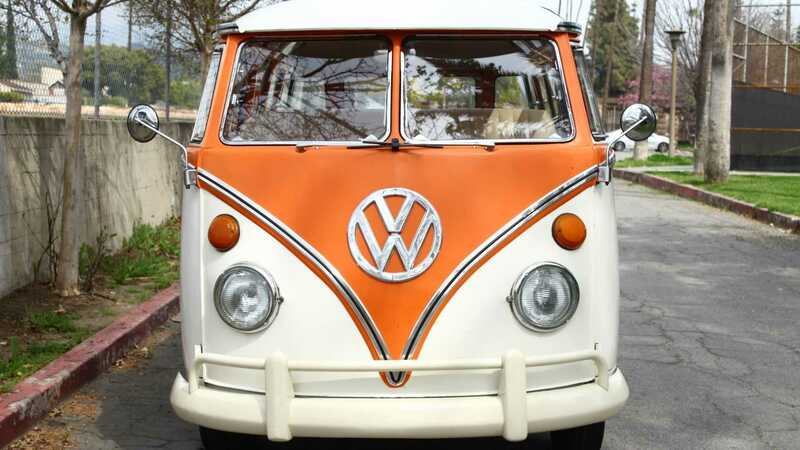 This particular 1965 Volkswagen Bus/Vanagon painted in this cool color combination of orange on white is currently for sale at Vintage Car Collector in Glendale, California. 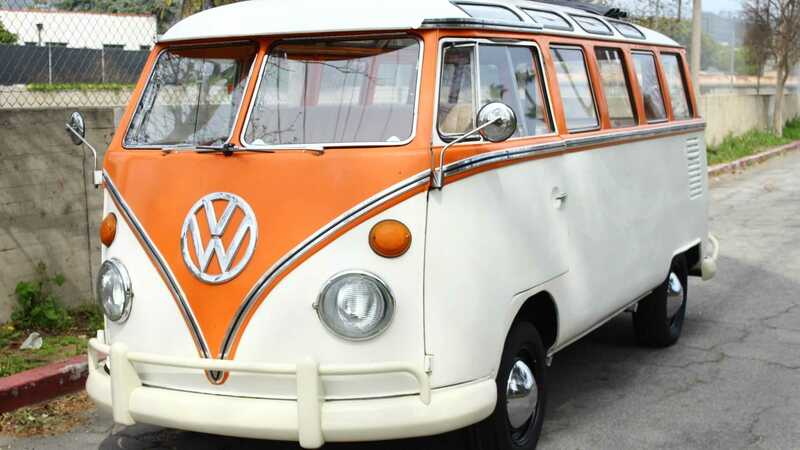 The listing mentions that this VW microbus is powered by a 1.6-liter B4 air-cooled flat-four-cylinder boxer engine and is mated to a four-speed manual transmission. 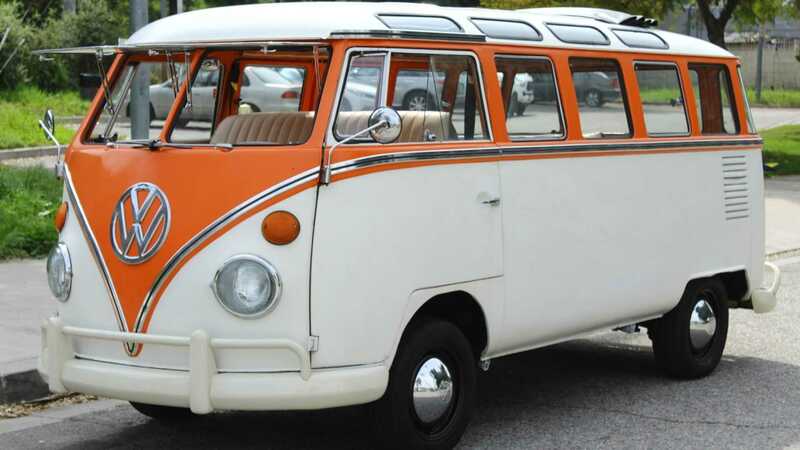 Since the 1.6-liter engine was only available after 1967 for the Brazilian market bound T1s, we believe that the owner of this 1965 microbus has replaced one of the less powerful engines it originally came with this more powerful variant. 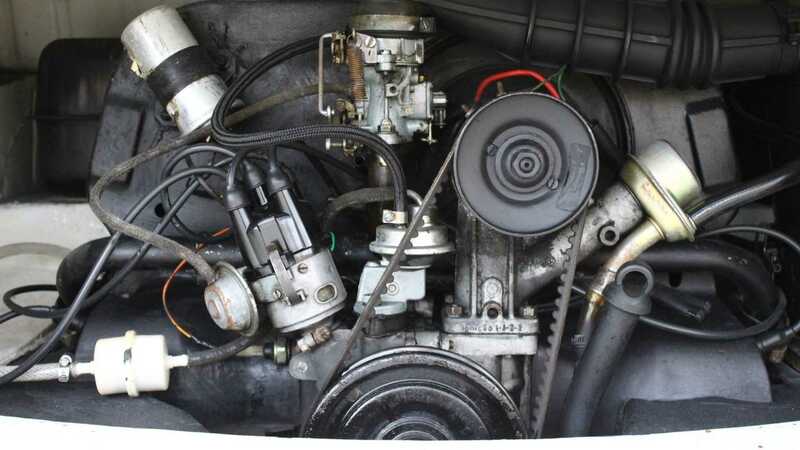 Even in its highest displacement, the flat-four still made less than 70-horsepower. 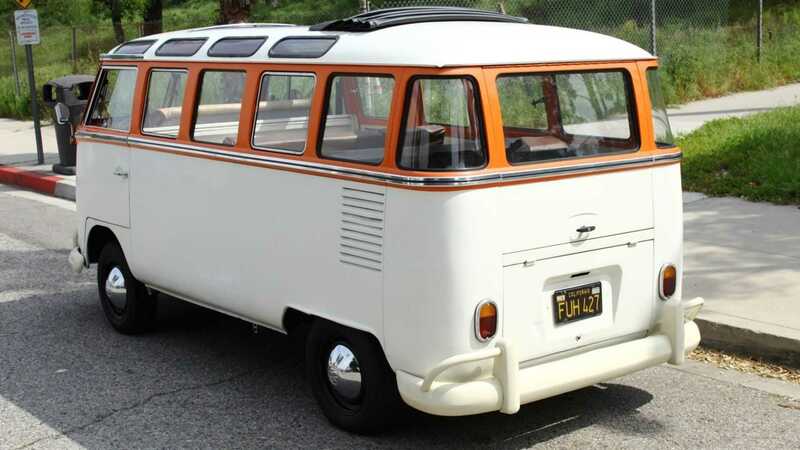 The dealership hasn't provided much information about this 1965 VW Samba 23-window but based on the images of the exterior, interior, under the engine cover, and the undercarriage, this microbus looks more like a time capsule and a survivor rather than a fully restored automobile. 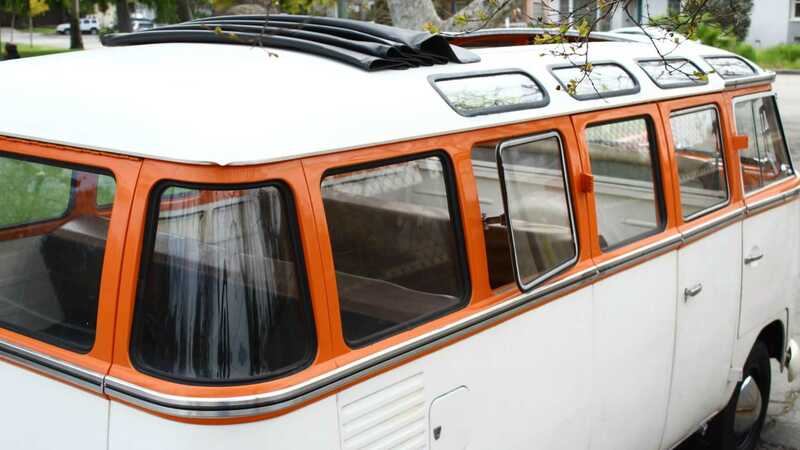 If the exterior and interior color combination is all original and has not been repainted, then the desirability of this 23-window will be even higher in the vintage VW community. 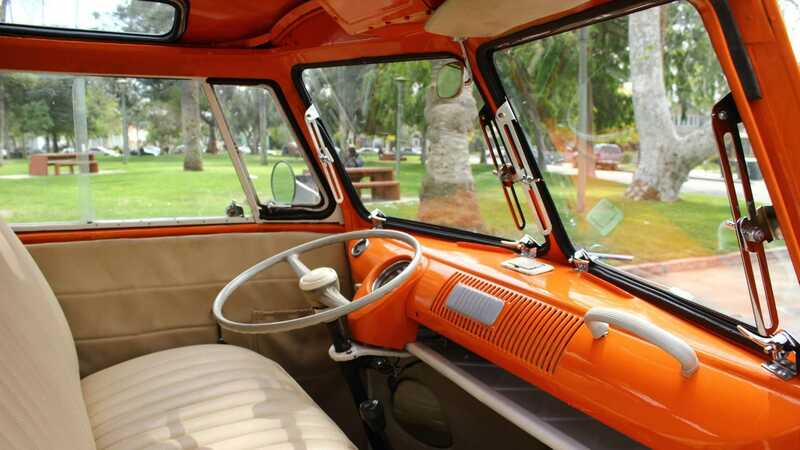 Inside, the orange paint from the exterior is applied to the dashboard, side pillars, and the roof while the bottom of the cabin is painted in white. 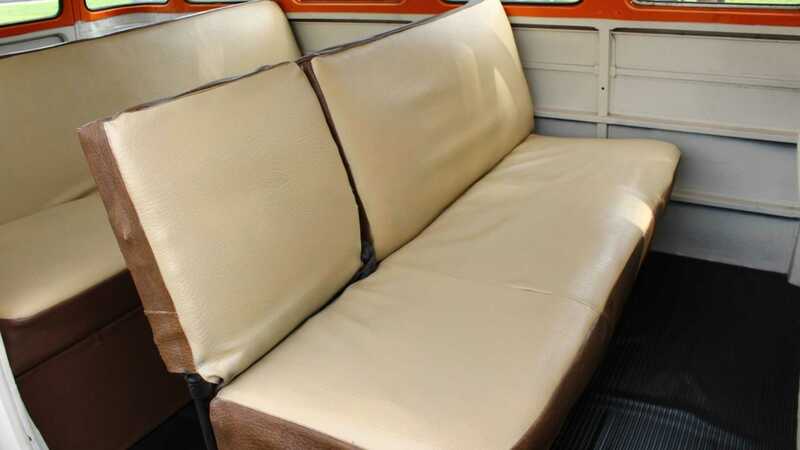 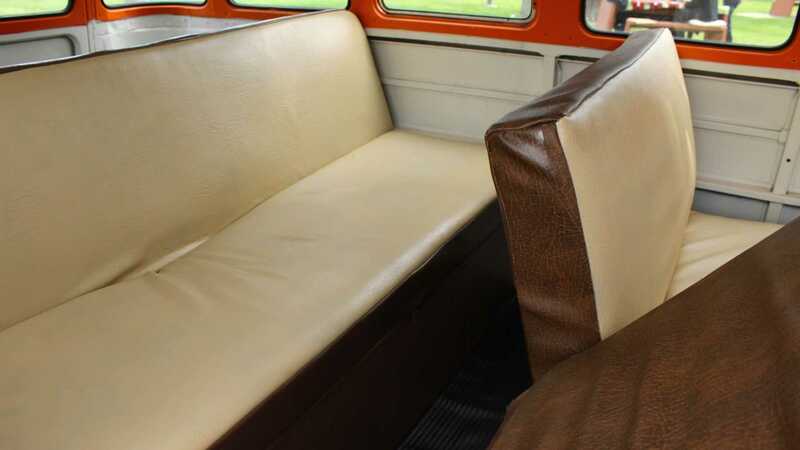 The three rows of bench seats are all covered in a two-tone white and brown leather. 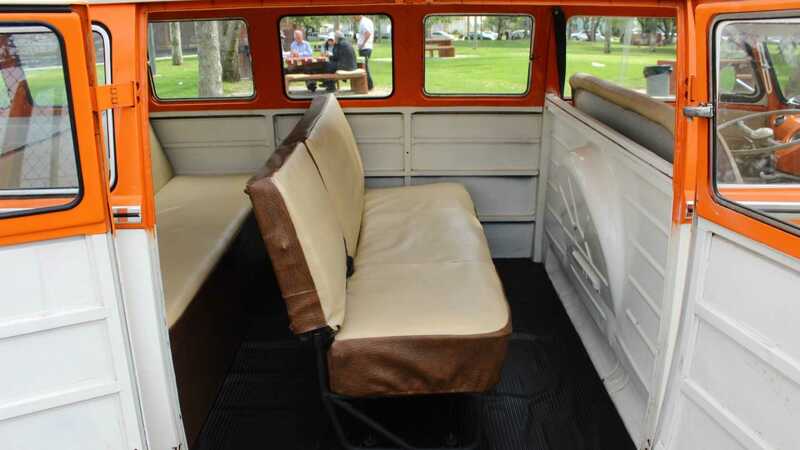 The seatbacks of the second-row seats fold 40:60 in order to allow access to the third-row. 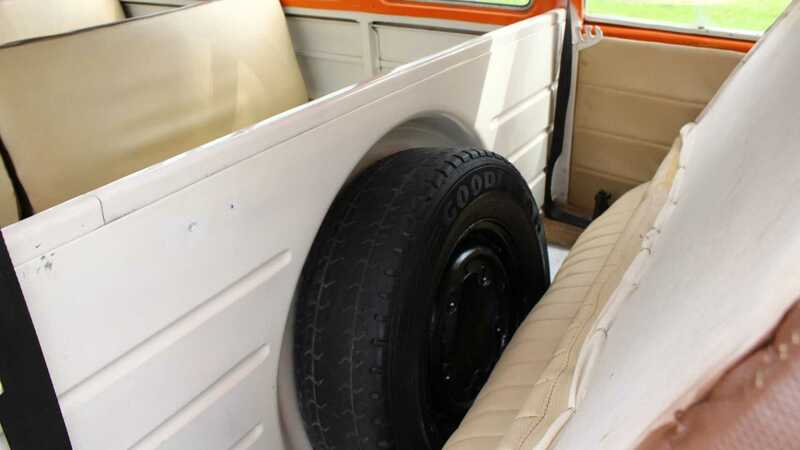 Behind the front passenger is the spare tire and the first and second row of seats are divided by a metal partition. 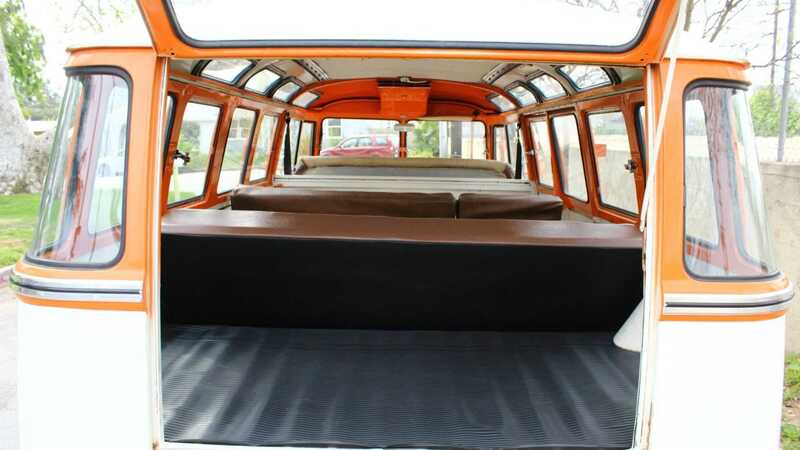 Overall, the cabin of this microbus is very basic and does not feature many luxury amenities. 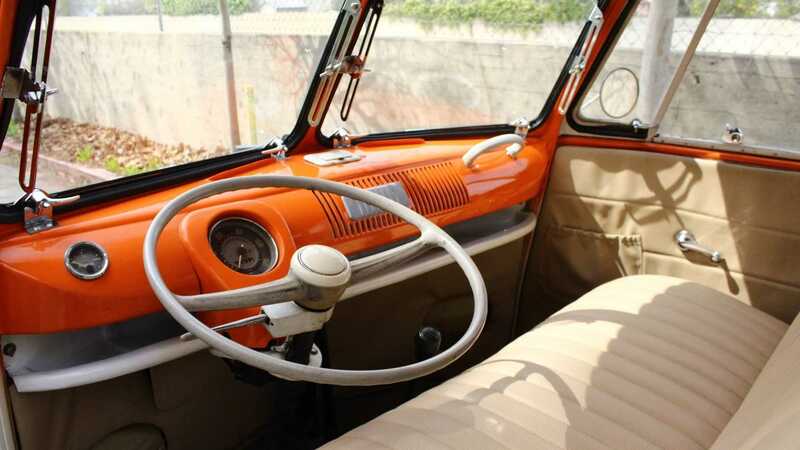 The steering wheel is covered in white leather and the gear lever for the manual transmission sticks out of the floor between the driver and the front passenger. 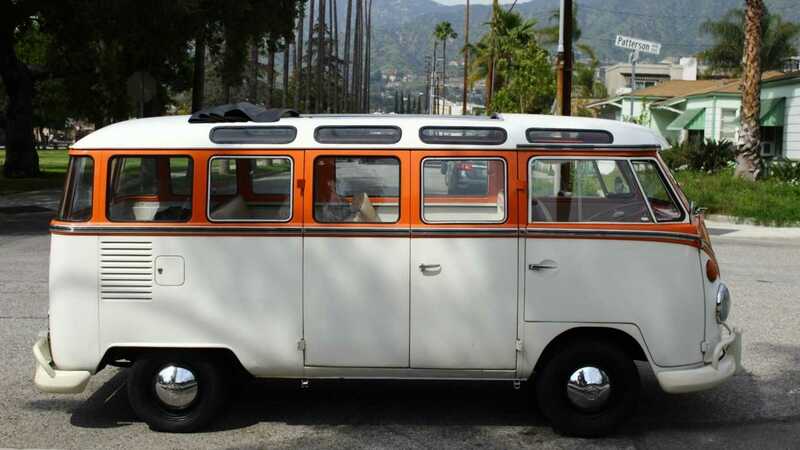 If you are interested in taking your family on a cool but slow road trip this summer, then this 1965 Volkswagen Bus/Vanagon might be the vehicle for you. 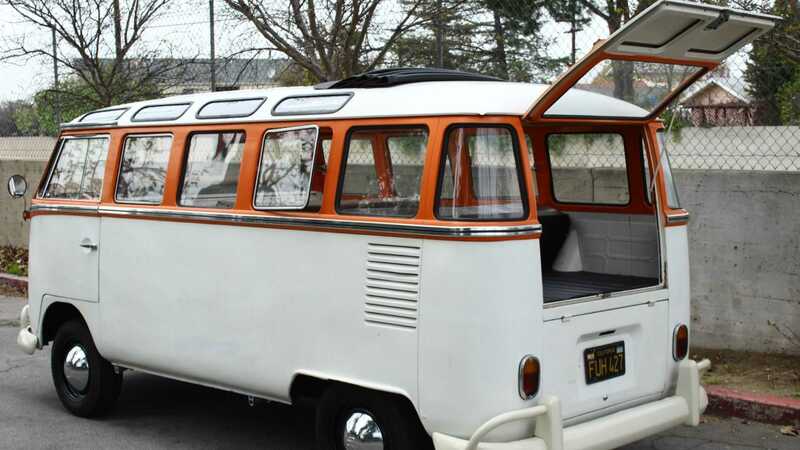 The dealer has not listed the for sale price, but Vintage Car Collector does encourage that you give them a call and get the process of owning this microbus started.